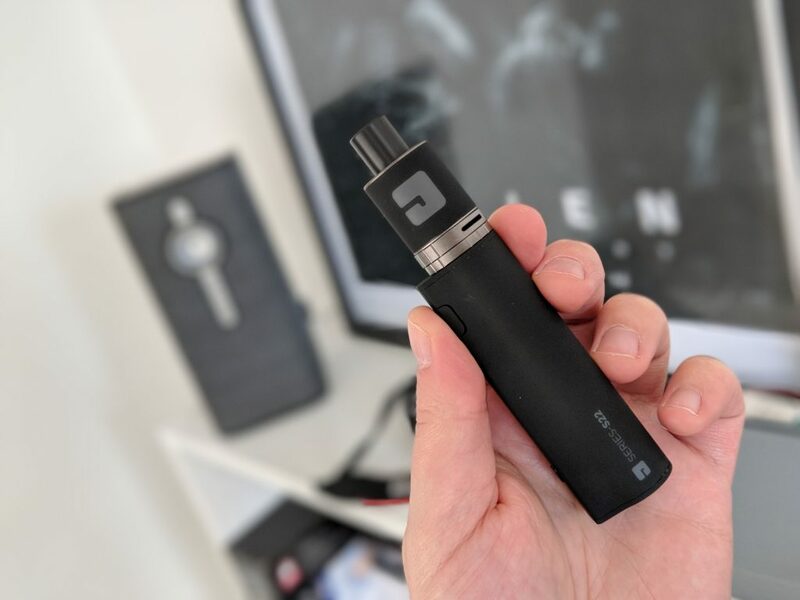 JAC Vapour SERIES-S22 Review: The UK's Best Starter Vape Kit? If you’re looking for a solid, simple-to-use, vape starter kit, the JAC Vapour SERIES-S22 comes highly recommended! Back when I started vaping, circa 2008, the market was NOTHING like it is today. There was less choice, fewer retailers, and far less innovation. Most setups I bought back then weren’t great and usually ended up breaking after a couple of weeks. And this was very frustrating from me, as someone trying to get off cigarettes for good. Nowadays, the vape market is a lot different. It’s way more mature, for instance, with established brands and more of a focus on quality and customer service (with a few exceptions, of course). 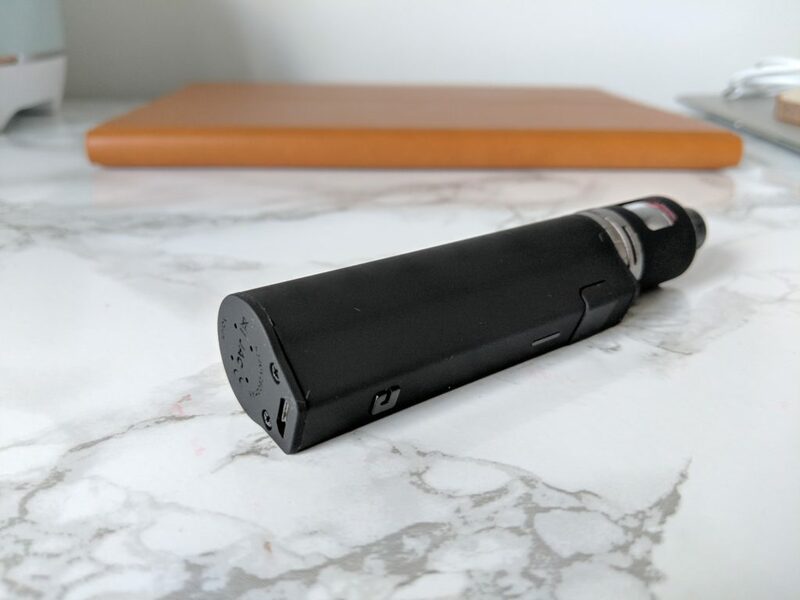 But if you’re brand new vaping, and just getting off the smokes, you’re likely looking for something that is very simple to use, that will provide excellent, all-day battery life, and is produced by a reputable brand, right? Well, I have something very special for you today. The JAC Vapour SERIES-S22, which is easily one of the best vape starter kits in the UK right now. Bar none. Read on for my full breakdown of what makes the JAC Vapour SERIES-S22 tick. I get sent A LOT of vape kits to test out, so when it’s from a brand I don’t have much experience with, I’m usually rather dubious. However, I knew of JAC Vapour before getting the JAC Vapour SERIES-S22 in for review, so I knew it’d probably be pretty darn impressive. 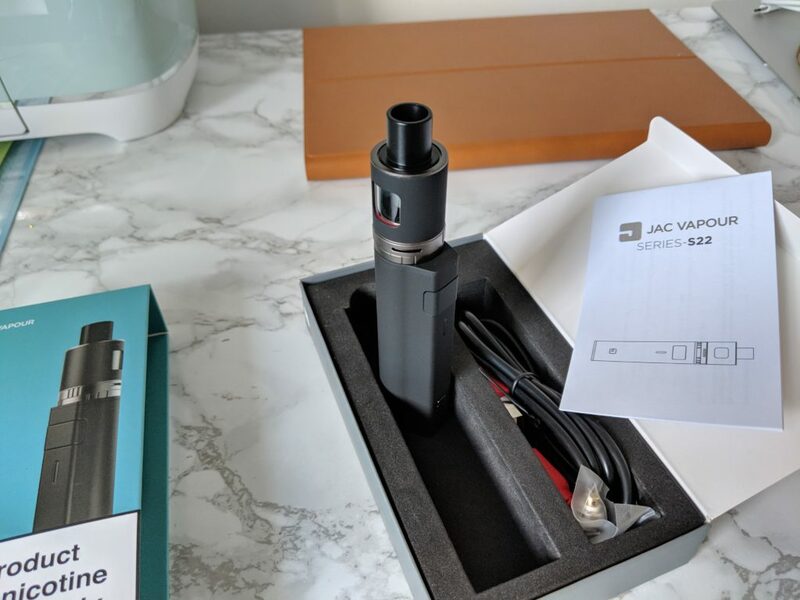 The packing the JAC Vapour SERIES-S22 comes in is very professional. Way better than most brand’s efforts, so before you’ve even unboxed it you’re in a good place, mentally. These guys clearly care about what they do. And in the vape space, that means a lot. The JAC Vapour SERIES-S22 itself is a very premium looking, and feeling, vape kit. The build materials it is honed from, steel alloy with rubber finish, look and feel superb, ensuring robustness as well as comfort when handling. The machining of all the mod and tank’s ports, connections, and ends is flawless. Nothing has been left to chance in this regard. 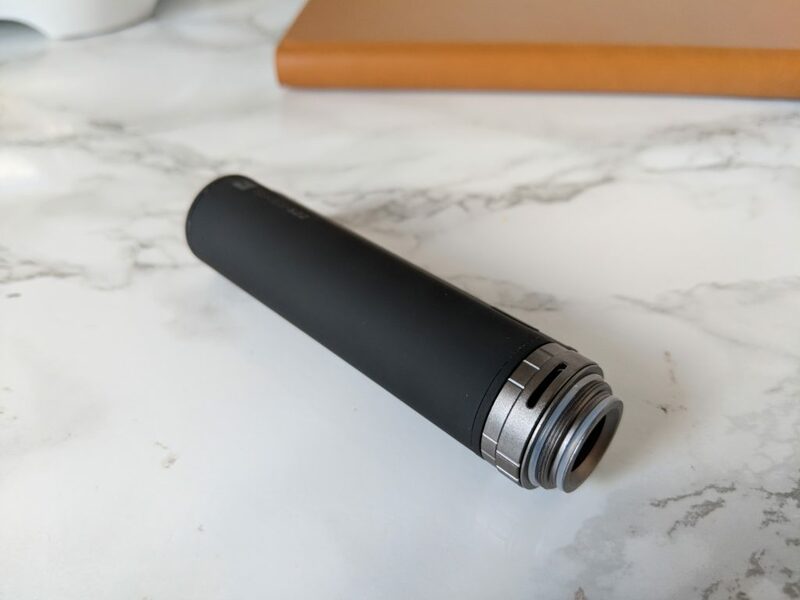 Once assembled, which takes less than 30 seconds, the finished result is a smart-looking, highly portable vape kit. This is a mech mod, meaning it’s unregulated, so you’re best off ONLY using the tank that comes with it. You don’t want to be messing around with unregulated mods and tanks that weren’t designed for use on them – it can get messy. Like most everything else about this tank, the performance is great. 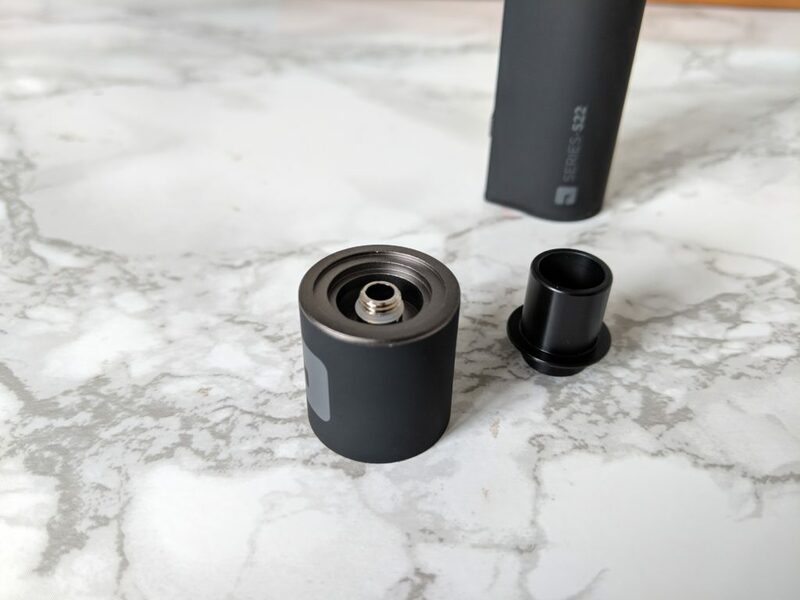 It’s an MTL vaping experience, but there are sub-ohm coils available. 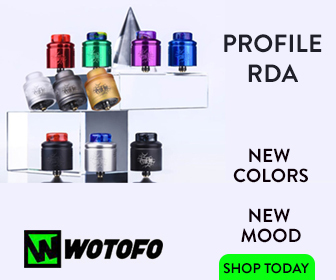 To me, you’re likely best starting with the MTL coils and then moving on to the sub-ohm ones once you’re more confident with your vaping. The coils, which are super simple to install, last AGES, meaning changes are few and far between. The flavor and the hit it delivers is superb. I have zero complaints in this regard. I had a blast using this mod. There is also a myriad of safety features built into the mod too, so as to ensure you’re always vaping safely. Things like overcharge protection and short circuit protection aren’t always included on starter kits, so it’s nice to see that JAC Vapour has done so here. The overall performance of the JAC Vapour SERIES-S22 is phenomenal. If you’re brand new to vaping, you will love this setup. 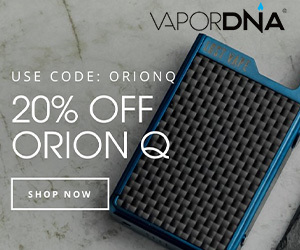 It delivers great flavor, is easy to use, and has terrific coils that last weeks at a time, which is a massive USP for newbies and seasoned vapers alike. The JAC Vapour SERIES-S22 packs in a 2600mAh battery. 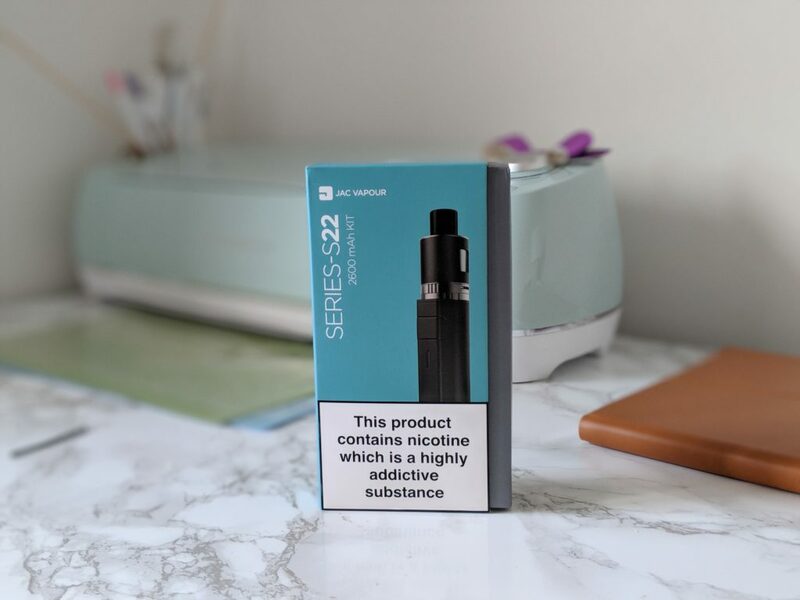 It’s non-removable, but because of its size, and the nature of the JAC Vapour SERIES-S22, you needn’t worry about it – it lasts all day and then some. I was getting a solid couple of day’s worth of use from my JAC Vapour SERIES-S22. And that is VERY impressive, as I get nowhere near this level of performance on my higher performance mods. This is the type of mod you can charge overnight and then not worry about it for a couple of days. As the battery life degrades, the performance does suffer, so you will know when this is happening. If you charge it every night, however, you’ll simply never have to worry about running out of battery life ever again. Another option is to buy a couple of the mod units from JAC Vapour so you always have two mods around (and one is always charging).